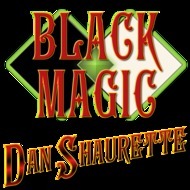 BLACK JACK, is a new short story by Dan Shaurette, a prequel to his upcoming novel, BLACK CASTLE. Confidence artist Jacob Springer discovers that his mother, a Faierie, has been murdered in London. Can he track down her killer while the police have their hands full with Jack the Ripper's reign of terror? Featuring the voice talents of Dani Cutler, Emerian Rich, Glenn Hibburt, Jack Mangan, Lucie LeBlanc, Mat Weller, Murdo Morrison, Pete Lutz, Sean Young, Ted Wenskus, and Veronica Giguere. 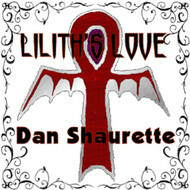 This audio drama was originally serialized on the HorrorAddicts.net podcast. The theme music for BLACK JACK is "Sorrows Path" by Tim Beek, provided under a Creative Commons Attribution 4.0 license. All other music and sound effects were provided by the Free Sound Project, at FreeSound.org. We will send Black Jack to your Kindle at . 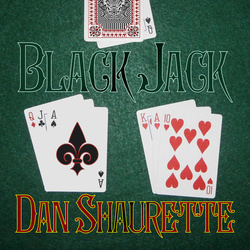 Black Jack has been sent successfully to your Kindle!